In this article you will read about planning units of inquiry that integrate the four critical aspects of concept-based pedagogy illustrated by Erickson and Lanning (2014) to foster a classroom environment in which students can achieve synergistic thinking, which, in itself, is a way of promoting differentiation. I recently had the opportunity to thoroughly read the book “Transitioning to Concept-Based Curriculum and Instruction: How to bring content and process together” (2014) by H. Lynn Erickson and Lois A Lanning. Given that at my school we have been attending a series of weekly teacher-led conferences on differentiation strategies over the past calendar year, I could not help but make the connection and think about how a proper implementation of concept-based curriculum and instruction promotes differentiation in itself: bottom-up differentiation. That is, by incorporating the four critical aspects of concept-based pedagogy outlined by Erickson and Lanning into our written curricula and delivering them accordingly during instruction, we have already taken a huge step down the differentiation highway. In this article, I especially address “guided questions”. 1. Synergistic thinking: The type of thinking that occurs when two or more parts, say, the factual and conceptual levels of thinking, interact to achieve deep understandings transferable to different times, places and situations. 2. Conceptual lens: A wide-ranging concept that provides focus to a unit of study safeguarding synergistic thinking as the student processes facts through the focus concept hence facilitating the transferability of the understandings. 3. Inductive teaching: An approach that motivates us as teachers to draw understanding from students and encourage them to discover and build meaning for themselves, instead of telling it to them up-front. 4. Guiding questions: Questions that tackle factual knowledge/skills and conceptual understandings transferable to different times, places and situations, such as generalizations, and open-ended, provocative debate questions. With my fourth graders at Gimnasio del Norte School in Bogotá, Colombia, we recently completed the third unit of inquiry Sharing the planet where the children explored the central idea “Life relies on organisms´ interactions with their surroundings”. We went on to begin the fourth unit, How the world works, in which the central idea is “Energy transformation and use determine the existence of living things”. As part of the teacher-led learning experiences, we visited “Maloka”, a science, technology and innovation park in which the students took a guided “energy” tour and had some time to explore as scientists themselves. Each of my students had something unique and interesting to answer to this conceptual question, which, otherwise had no right or wrong answer. It was like giving students red and black paint and a blank canvas and observing what they come up with (some will ask for additional colors, others will not) without the pressure of doing something the correct way or not. Yes, synergistic thinking. The factual question was a spot-on knowledge check for all, while the debate question allowed the students at the right end of one or more of the knobs/elements of Tomlinson´s equalizer, that is, the students at a more transformational, abstract, complex thinking to answer accordingly, while the students at a more foundational, concrete, simple thinking also answered, perhaps in fewer facets. The fact is that the diversity of unique understandings that the children come up with and the connections that they make within and across units when we, as teachers, are asking the right questions, is remarkable. By combining guiding questions that include factual knowledge/skills, conceptual understandings, and open-ended, provocative debate questions we are fostering a classroom environment in which students can achieve synergistic thinking, which is, in my opinion a very simple way of promoting differentiation. Indeed, by planning our PYP units of inquiry in such a way that we carefully integrate the four critical aspects of concept based pedagogy illustrated by Erickson and Lanning (2014), we foster a classroom environment in which students have various options for taking in information, making sense of ideas, and generalizing and transferring what they learn. By encouraging synergistic thinking we promote individual thinking not only within the transdisciplinary units but across them, and by doing so set the stage for bottom-up differentiation. This is not to say that we should stop delving into other differentiation strategies or planning creative learning experiences inspired by various practices and ideas from our colleagues, or, most importantly, the students themselves. Concept-based curriculum and instruction is, too, a differentiation strategy which we can use; it is a tool, through which we can satisfy student needs and boost their creativity and instincts. In development studies (I hold a graduate degree in Local and Regional Development) a bottom-up approach is essentially one in which the local actors have a say in their needs. This, as opposed to a top-down approach where third parties make these decisions without prior socialization. Juliana Castellanos grew up travelling, graduating with an IB Diploma from Escuela Campo Alegre in Venezuela. She obtained her B.A. degree from Macalester College, USA, and her graduate degree in Development Studies at Universidad de Los Andes. 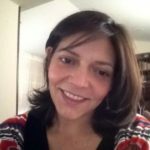 Juliana has worked in different sectors –public, private, non-profit– in the USA, Africa and Colombia and is currently a PYP grade 4 teacher at Gimnasio del Norte School in Bogotá. You can follower her on Twitter @pasionarialila and her school @gimnorte. Thanks, great blog to read after recently undertaking concept based curriculum as a whole school, in school workshop. The depth of thinking and link to differentiation is illustrated well. Love the links between the 2 uoi also. Thank you Janet. The more experience I have in the IB, the more I am convinced of the wonders that a concept-based curriculum can do. Having the kids write their own concept-based unit questions and then attempt to answer each other´s is another great exercise. I personally like this article. I got good info.